Tired of knitting "one sock wonders"? Come learn how to make 2 socks at the same time using the Magic Loop technique. Using this method ensures that your socks will always be the same length! Skill Details: Students should know how to knit socks using dpns. Instructor Bio: Jane Piotraschke has worked at 3 Kittens since 2010 as a sales associate and instructor. 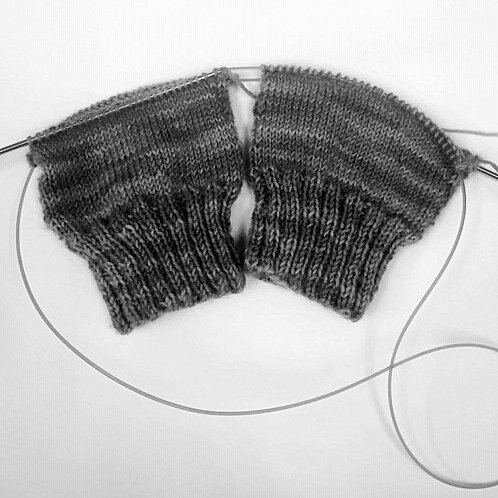 Jane teaches beginning knitting, basic socks, as well as anything that has a cable, mosaic, short rows. She is currently working towards the Master Knitter certification with The Knitting Guild of America.